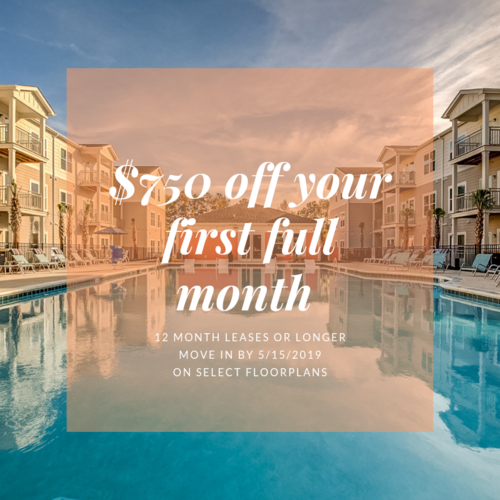 We are North Charleston's hottest new address for convenience and lifestyle. Pet Policy: We are a pet friendly community! We allow dogs, cats and approved aquarium dwellers. There is a $300 pet fee for the first pet (non-refundable) and additional $150 for the second pet (non-refundable). Rent for our furry friends is $15 per month for each pet. Call our office for breed restrictions. Parking Comment: Garages available for $150.00/month and storage units available for $25.00/month.